Actively monitor the Texas Department of Transportation's update of the Texas Transportation Plan. The Committee shall assess the plan in terms of how it addresses relevant issues such as transportation funding, traffic congestion, multimodal transportation, rural transportation planning, NAFTA-related traffic, and establishment of acceptable levels of service for mobility. The Committee may make recommendations to improve upon planning procedures used by the Texas Department of Transportation as well as statutory changes necessary to facilitate implementation of the Texas Transportation Plan. The Committee may also recommend solutions to the state's transportation funding shortfall. Monitor developments at the federal level relating to the re-authorization of TEA-21and the creation of new innovative transportation financing techniques. Evaluate developments related to the commercial trucking industry. This study should include, but not necessarily be limited to, the following: an evaluation of the state's ongoing efforts to enforce truck safety regulations efficiently and fairly; developments at the state and federal levels related to opening our highways to Mexican truck traffic; and the effect of heavy truck traffic on our state and local roadways. Examine the need and feasibility for establishing a state agency or commission for Native American affairs. The Committee should determine whether certain issues facing the Native American community are being adequately addressed by existing state agencies. The issues to be examined should include diabetes susceptibility, alcohol abuse prevention, educational opportunities, water rights, land ownership, burial ground disturbance, historical representation, and tax administration. The Committee shall review the recently proposed Texas Department of Transportation Access Management Rules and the associated Draft Access Management Manual dated May 30, 2002. 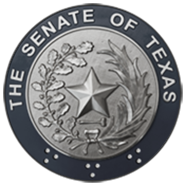 In the course of the review, the Committee should examine the public input procedures followed by the Transportation Commission and assess, if possible, the overall effect the proposed policy changes will have on the constituents of the Texas Senate.